The Complete Singer-Songwriter is the ultimate guide for the modern performer, chock-full of tips, tools, and inspiration for both aspiring troubadours and those looking to take their craft and career to the next level. 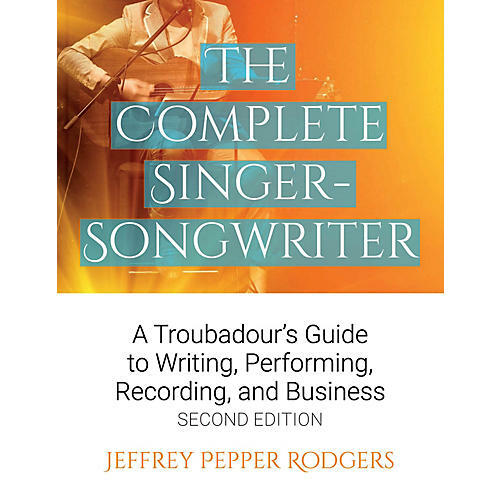 Author Jeffrey Pepper Rodgers draws on firsthand interviews with songwriting legends and rising stars; expert advice from managers, agents, lawyers, and publishers; and his own experiences as a performing songwriter. He offers this invaluable companion for singer-songwriters on their journey from idea to song to the stage, studio, and beyond. New in the second edition: · A songwriter's guide to chord progressions · Understanding song form and rhyme · Dozens of songwriting games and exercises · Essential info on copyrighting your songs, music publishing, and digital royalties · Online companion at completesingersongwriter.com with playlists and additional resources Songwriting tips and techniques from more than 100 artists, including Joni Mitchell, John Mayer, Paul Simon, Rosanne Cash, Jewel, Jeff Tweedy, Ani DiFranco, James Taylor, John Fogerty, Brandi Carlile, Richard Thompson, Jason Mraz, Rodney Crowell, Jerry Garcia, Dar Williams, and more.